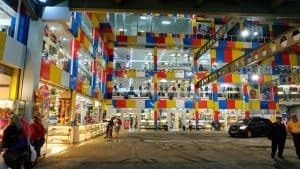 Home » Economy » Find these 10 Experiences of Cheap Shopping in Indonesia! Shopping is one of the fun activities when traveling to a country. While you choose Indonesia as your tourism destination, you can have some great experiences for shopping. Not only getting cheap living expenses, even hunting for souvenirs can be a fun thing when you can buy them at a cheap price. Every region in Indonesia has its own shopping icons that make your heart is irresistible to shop. You can hunt for food, fashion items, accessories, and typical souvenirs of each region there. 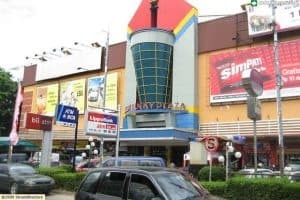 So, here is the list of recommended cheap shopping in Indonesia. Just so you know, shopping in Cibaduyut is the longest shoe sales market in the world. You can also buy custom shoes or design as your own wishes. If you want to have contemporary shoes with prices that don’t break your wallet, don’t hesitate to stop by this area. Not only shoes, you can also finds a lot of cheap giant dolls here. There are many shops along the road that sell local shoes by the nation’s children. So famous is Cibaduyut, President Jokowi has also bought and used his shoes. More than that, he also participated in the promotion. When do you want to come here? The exact location is on Jalan Cibaduyut Raya, which is a few hundred meters from the Leuwih Panjang Terminal. From downtown Bandung, you can take it in 45 minutes. 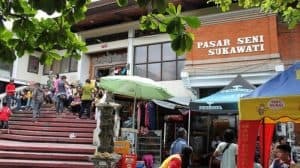 Pasar Mayestik is a trading area based on Jalan Tebah, Kelurahan Gunung, Kebayoran Baru, South Jakarta is a traditional Market which was inaugurated around 1981 and is a modern shopping center in South Jakarta. Various facilities are built in this market, such as: 7 floors market, escalators, elevators, CCTV, places of worship, and toilets. In Mayestik Market, textiles can also be obtained easily in a number of shops – most of the owners are citizens of Indian descent. Yes, this is the market: medicine and cosmetics, clothing, sports equipment, vegetables, fruits, meat, chicken, fish, ingredients for cakes, tailor stalls. 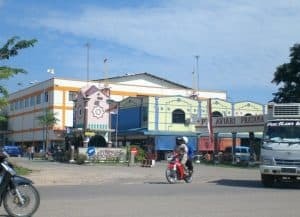 Aviari Market is not only known in Batam but almost all regions in Indonesia. What makes it famous is this market sells the second product which is directly imported from neighboring country. Although it is not new product (second hand), in fact the products here are sold really well. Moreover, gadgets and some other electronic items are supplied from Malaysia and Singapore. It makes people hunting the second gadget here with the good quality. You can also hunt for home furnishings and imported branded clothes at very cheap prices here. Be sure to bid before buying. 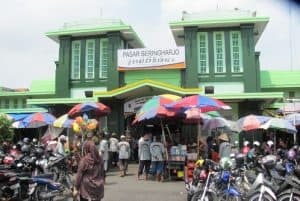 In Yogyakarta, cheap batik hunters must be very familiar with Beringharjo Market. It is included one of traditional markets in Yogyakarta. This market in Malioboro area has long been known as a wholesale center for batik. Even though the market, but shopping here is far from being shabby. In addition to selling batik clothes and fabrics, there are also various kinds of antique souvenirs sold starting from 10,000 IDR in large quantities. This market is also suitable for wedding souvenirs. Don’t forget to bid before shopping. Also make sure to see quality before bidding. This art market sells a variety of clothing or art items typical of the Island of the Gods. This place has become one of the favorite tourist destinations in Bali which is visited by many local and foreign tourists. This market is also sold with various knick-knacks for handicrafts. This market starts operating at 6:00 a.m. to 6:00 p.m. Almost of the shops here sells the things cheaply. Moreover, if you buy them with the wholesale system. Tanah Abang Market is very well known as a clothing wholesaler center. This market is always crowded with visitors, especially before Lebaran, Christmas and New Year. The market, which is located in the Tanah Abang area, Central Jakarta, sells a variety of clothes to various ages at fairly cheap prices, but some shops also sell materials to make clothes. You can shop as much as clothings you want with the super cheap price. 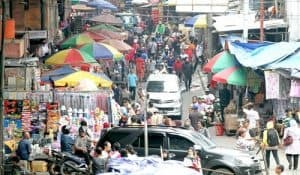 Tanah Abang Market is divided into built, expanded, and beautified, so it is divided into six blocks (A-F), with 7,546 businesses with 4,648 traders and occupying an area of ​​82,386.5 square meters. 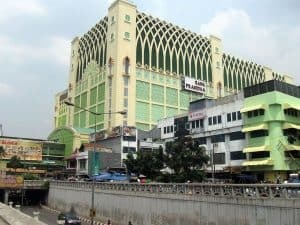 Now Tanah Abang Market consists of 12 floors which include stores of textile, worship equipment, muslim clothing, jeans, shoes, and households. 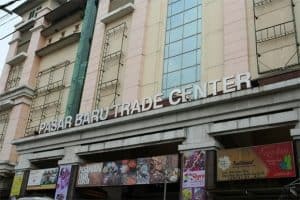 Pusat Grosir Solo is a trade center which is equipped with various facilities to support comfort and security for both the merchant and the visitors. This Shopping Center serves fashion needs for buyers in wholesale and retail quantities. In addition to the trade center, the Solo Wholesale Center is also the main destination for tourists when they are looking for batik souvenirs, when visiting Solo. The Solo Wholesale Center has a very strategic location in the City Center. 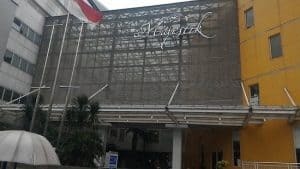 Located in the area of Gladag( where the tourism center of Solo City) is close to tourism objects such as the Surakarta Kasunanan Palace and Mangkunegaran Palace. Another place of cheap shopping in Bandung is Pasar Baru. It is one of the favorite shopping places for tourists both local and international. In 1935, Pasar Baru was dubbed the cleanest and most ordered market in the Dutch East Indies. You can buy much things and stuffs with a super price if you are good in bargaining. Lucky Plaza is famous as a shopping center for various gadgets such as cellphones, laptops and cameras. Almost all shops here sell a variety of products from outside and inside the country from new to second. This Lucky Plaza is located in the Nagoya area, in addition to Lucky Plaza, on the roadside of this area there are many shops that sell various bags, watches, belts, batik fabrics, perfumes and foods like chocolate with quality and competitive prices. 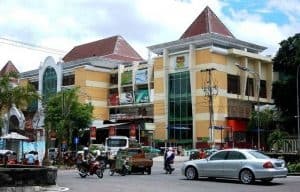 Usually those who sell here provide online access for prospective buyers from outside the island of Batam, and of course at prices that are cheaper than the original price. This is proven after many online shops that sell or even become import fashion distributors such as from Bangkok and China that have been familiar to the ears of imported fashion lovers. Looking for cheap toys or accessories in Jakarta, it’s best to visit Asemka Morning Market around Kota Tua, West Jakarta. Not only accessories, this morning market also provides various kinds of cheap-lively toys for children. Asemka morning market is located under Jembatan Lima overpass, Tambora West Jakarta. There are hundreds of stalls offering various kinds of knick-knacks such as hair clips, brooches, hair ties, headbands, and other trinkets. This market also provides necklaces, school stationery, and various kinds of cheap toys for children. For visitors who come to the market this morning, don’t waste your energy and time by just shopping for one or two accessories. Asemka morning market offers very sloping prices for visitors who shop in large quantities. The price offered can also be 50 percent cheaper than buying in other markets or in malls. Before finding experiences of cheap shopping above, make sure to make some list of the things or stuffs you are going to buy. Don’t bring too much souvenirs to your hometown since it will cause expensive shipping. Be wise in bidding a price. Match it to the goods’ quality.